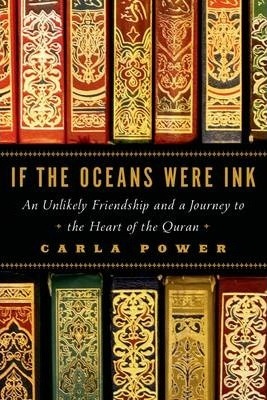 If the Oceans Were Ink is Carla Power's eye-opening story of how she and her long-time friend Sheikh Mohammad Akram Nadwi found a way to confront ugly stereotypes and persistent misperceptions that were cleaving their communities. Their friendship-between a secular American and a madrasa - trained sheikh - had always seemed unlikely, but now they were frustrated and bewildered by the battles being fought in their names. Both knew that a close look at the Quran would reveal a faith that preached peace and not mass murder; respect for women and not oppression. And so they embarked on a yearlong journey through the controversial text. A journalist who grew up in the Midwest and the Middle East, Power offers her unique vantage point on the Quran's most provocative verses as she debates with Akram at cafes, family gatherings, and packed lecture halls, conversations filled with both good humour and powerful insights. Their story takes them to madrasas in India and pilgrimage sites in Mecca, as they encounter politicians and jihadis, feminist activists and conservative scholars.Armed with a new understanding of each other's worldviews, Power and Akram offer eye-opening perspectives, destroy long-held myths, and reveal startling connections between worlds that have seemed hopelessly divided for far too long. PULITZER PRIZE FINALISTNATIONAL BOOK AWARD FINALISTNamed A Best Book of the Year by The Washington Post and The Denver Post A vibrant tale of a friendship... If the Oceans Were Ink is a welcome and nuanced look at Islam [and] goes a long way toward combating the dehumanizing stereotypes of Muslims that are all too common... If the Oceans Were Ink should be mandatory reading for the 52 percent of Americans who admit to not knowing enough about Muslims. The Washington Post Journalist Power writes about her year studying the Quran with a Muslim scholar she befriended while working at a think tank in London. For some, this will be a strong introduction to Islam. To others, it's fodder for discussion on the Sheikh's views, how Westerners (such as Power) interpret those views and the interplay of culture and religion. The Denver Post For all those who wonder what Islam says about war and peace, men and women, Jews and gentiles, this is the book to read. It is a conversation among well-meaning friends--intelligent, compassionate, and revealing--the kind that needs to be taking place around the world. Fareed Zakaria, author of The Post-American World With a journalist s mind for the story, a born traveler s heart for the adventure of crossing borders, and a seeker s yen for the poetry and mysticism of belief, Power creates an exceptional record of a timeless quest. Merritt Tierce, a National Book Foundation 5 Under 35 honoree and author of Love Me Back An inspiring story of two [people] from different worlds who refuse to let religious and cultural differences, prejudice, and ignorance get in the way of their friendship, If the Oceans Were Ink is as thought-provoking as it is elegantly written. It takes a difficult, highly charged topic and puts it into terms that are not only understandable and eye-opening, but beautiful. Bustle (11 Beautifully Written Memoirs by Women) [Carla Power and Sheikh Mohammad Akram Nadwi's] conversations break down stereotypes... Power displays the diversity and intellectual richness of the practicing Muslim world, and shows how much we have to gain from mutual understanding. Shelf Awareness Carla Power's intimate portrait of the Quran, told with nuance and great elegance, captures the extraordinary, living debate over the Muslim holy book's very essence. A spirited, compelling read. Azadeh Moaveni, author of Lipstick Jihad Engaging Together [Carla Power and the Sheikh] explore the significance of veiling and unveiling, the struggle against unjust rulers and jihad, and contemporary wars. Power's narrative offers an accessible and enlightening route into a topic fraught with misunderstanding. Publishers Weekly Unique, masterful, and deeply engaging. Carla Power takes the reader on an extraordinary journey in interfaith understanding as she debates and discovers the Quran's message, meaning, and values on peace and violence, gender and veiling, religious pluralism and tolerance. John L. Esposito, University Professor and Professor of Islamic Studies, Georgetown University, and author of The Future of Islam Lively Intelligent and exceptionally informative. Kirkus Reviews A thoughtful, provocative, intelligent book. Diana Abu-Jaber, author of Birds Of Paradise and The Language of Baklava Their yearlong debates on issues ranging from the veiling of women to calls for fatwas challenged their own understandings of religion, culture, politics, and friendship and offer powerful new insights into Islam. Booklist If the Oceans Were Ink opens a door to the power of the Quran's lyrical and complex prose to inspire, comfort, and ignite hearts everywhere. A must read for anyone wishing to understand a global community's central spiritual source. Dalia Mogahed, Director of Research, The Institute for Social Policy and Understanding, and co-author of Who Speaks for Islam? A former foreign correspondent for Newsweek raised partly in the Middle East and boasting a graduate degree in Middle Eastern studies from Oxford, Power spent a year reading the Quran with a longtime friend, Sheikh Mohammad Akram Nadwi. Their experience led them beyond stereotypes to a constructive understanding for the text's call for peace and equality. Great for book clubs. Library Journal There are many intriguing books that trace the encounter of Westerners with Muslims from traditional backgrounds. Some of these books are love stories, others are clashes. Carla Power's If the Oceans Were Ink is something more radical, magical, and much more relevant: a religious encounter mediated through a gentle friendship, one that is committed to a dialogue and a search for truth. In a world characterized by so much tension and polemic, Power offers what might be our best hope for a better tomorrow: an intelligent friendship. Most enthusiastically recommended. Omid Safi, Director, Duke Islamic Studies Center "
Carla Power writes for TIME and was a foreign correspondent for Newsweek. Her writing has appeared in Vogue, Glamour, The New York Times Magazine, and Foreign Policy. Her work has been recognized with an Overseas Press Club award, a Women in Media Award, and the National Women's Political Caucus's EMMA Award. She holds a graduate degree in Middle Eastern Studies from Oxford, as well as degrees from Yale and Columbia.